This year, TSI is pleased to bring to you the excitement and anticipation of ISKCON's newest temple along with the blissful best of each retreat past. Join us for 5 phenomenally, unforgettable days from July 20th to July 25th, in the heart of Baltimore, for the experience of a lifetime. New Kulina Gram Dham, Baltimore, one of Srila Prabhupada's original 108 temples, has a cherished history. It is home to the breathtakingly beautiful deities, Sri Sri Nitai Gaursundar , Their Lordships Jaganaatha, Baladev, & Subhadhra, and soon, Sri Sri Radha Madhav as well. It is a prime location, minutes away from Baltimore City and the Inner Harbor, and very soon there will also be a brand new temple ready to host the next generation of enthusiastic devotees for a week of inspiration, bonding, and fun. This year's theme is "Hidden in Plain Sight." Each and every one of us has something unique and special inside us – and the root cause of those special gifts is Krishna Himself. Although He may be hidden to our material eyes, Krishna's always present within our hearts, guiding and inspiring us in totally unique ways. He is, quite literally, "hidden in plain sight," and He inspires within our hearts a one-of-a-kind gift that is exclusive to each one of us. Sign up for our email list and follow us on Facebook to get the latest retreat updates. Feel free to contact us at sangainitiative@gmail.com for any question. Please contact us at sangainitiative@gmail.com for any inquiries. Prabhu is from London, UK and a graduate from the prestigious London School of Economics where he studied Politics and Philosophy and further obtained a Masters from Birkbeck University of London; one of the UK’s leading Philosophy departments. Since then, Bhuta Bhavana Prabhu has been a Motivation and Leadership Consultant, whilst actively partaking in multiple Government, Educational and Charitable initiatives adding value through leadership, motivational, and meditation workshops. A senior disciple of His Holiness Bhakti Tirtha Swami, Bhuta Bhavana really is an inspirational of a devotee and touches the hearts of all that he meets not only touching hearts but changing them too. 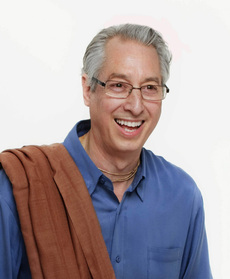 Bhuta Bhavana Prabhu was instrumental in the early years of TSI(then knows as PSENA USA) and we are excited to have him back this year after almost 10 years! Maharaj's true passion has been taking care of the youth of our society. For seven years, he ran the Vaisnava Academy for Boys in Alachua, Florida. From 1990 to 2003, he traveled with groups of boys to Ratha Yatras all across the U.S., and in 2004, took a group of youth to Europe. His preaching has taken him all over the world, however, he concentrated his efforts in Texas, Europe and Asia. For the past few years, Maharaja has been spending all of his time in the United States, traveling between Florida, Tennessee and Texas. Maharaja's open and friendly nature not only draws the youth to him, but attracts and inspires the devotees wherever he goes. His humorous, practical, and down to earth preaching style is appreciated by all who meet him. We are SO excited to have him this year! One of Srila Prabhupada's first female disciples. She met Srila Prabhupada at the young age of 16 and began a lifelong study in Bhakti Yoga under his guidance. Today, as an artist, a successful entrepreneur, and an activist in both interfaith dialogue and women's spiritual empowerment, she is a mentor to several women worldwide. Both husband and wife are senior disciples of HH Bhakti Tirtha Swami. Working in the health care field, both have lots of knowledge and wisdom to share. Well-known for their loving and kind nature, this couple makes for a prime example of a successful, happy, and balanced gristaha life. Check out some pictures from last year's retreat in Chicago!